U.S. stocks advanced at the start of busy week for central banks. The S&P 500 ( ^GSPC ) rose 0.37%, or 10.46 points, by the end of Monday’s session, with the Energy sector leading advances as domestic crude oil prices ( CL=F ) settled at $59.09, the highest price per barrel in more than four months. The S&P 500 closed at 2,832.94, a new closing high for 2019, and reached a year-to-date intraday high of 2,835.41 during Monday’s session. The Dow ( ^DJI ) edged up 0.25%, or 65.23 points, and logged a fourth consecutive day of gains. Shares of Boeing ( BA ) stunted advances for the price-weighted index, with the stock down about 1.8% following a Wall Street Journal report that federal prosecutors were probing the development of the company’s 737 Max, the aircraft involved in last week’s deadly Ethiopian Airlines crash. The Nasdaq ( ^IXIC ) rose 0.34%, or 25.95 points, to 7,714.48. Both the Nasdaq and the S&P 500 closed at their highest levels since October. Equities have so far posted strong returns in the first two-and-a-half months of 2019. As of intraday trading, the S&P 500 was up 13%, the Dow advanced 11% and the Nasdaq increased 16% for the year-to-date. And some analysts believe there’s still more room to run. Jonathan Golub, chief U.S. equity strategist for Credit Suisse, on Monday raised his 2019 target for the S&P 500 to 3,025, representing an about 7% premium on current prices. Golub’s previously revised target from December was 2,925. “Less hawkish comments from the Fed, declining inflation and recession fears, and the potential for a resolution to China trade issues are the primary forces driving volatility and spreads lower, and stocks higher,” Golub wrote in a note. However, Golub also downwardly revised his estimates for 2019 earnings per share to $170, from the $174 seen previously. This reflects the firm’s declining projections for the Energy sector and Apple’s stock, Golub wrote. Golub’s EPS estimate for 2020 is now $180, from $185 previously. While Monday presented a light economic data docket for investors to consider, further catalysts will come later in the week. 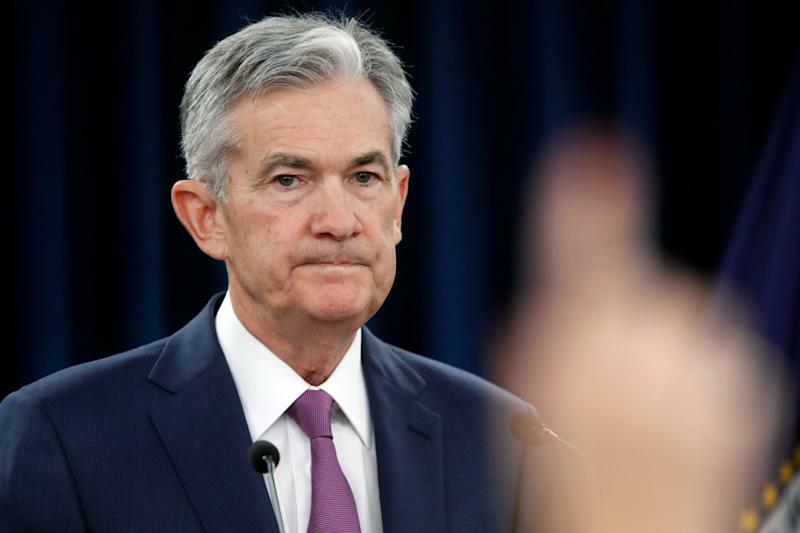 On Wednesday, the Federal Open Market Committee will release its latest policy statement and Fed Chairman Jerome Powell will hold a press conference to discuss the central bankers’ deliberations. Consensus economists believe the benchmark interest rate band will remain unchanged at between 2.25% and 2.5% after the Wednesday meeting. CME Group’s closely followed FedWatch tool on Monday morning showed a 98.7% probability that there will not be a rate hike after the March meeting. The last time the FOMC produced a dot plot was after the December meeting, when the median projection for the number of rate hikes in 2019 was two. Fed officials have since pivoted, however, and in January signaled interest rate hikes would likely remain on hold longer than originally anticipated. The Bank of England will also release its latest monetary policy decision this week on Thursday. The central bank had held its bank rate unchanged at 0.75% after its last meeting , and is widely expected to hold rates again due to ongoing Brexit uncertainty. As with the Federal Reserve, the BOE has recently pointed to a slowing global economy as a major downside risk. Trade tensions have been oft-cited as a key culprit of the slowdown, the underlying causes are likely much more nuanced, argue some analysts. Shearing reckons that global growth will remained pressured this year, even as stimulus including an anticipated trade deal between the U.S. and China and more dovish central bank policy helps shore up business sentiment. Elsewhere, the European Union’s trade surplus with the U.S. increased to 11.5 billion euros in January and its deficit with China expanded to 21.4 billion euros, according to new data released Monday from Eurostat . The EU’s overall trade deficit widened to 24.9 billion euros in January from 21.4 billion euros in January 2018.